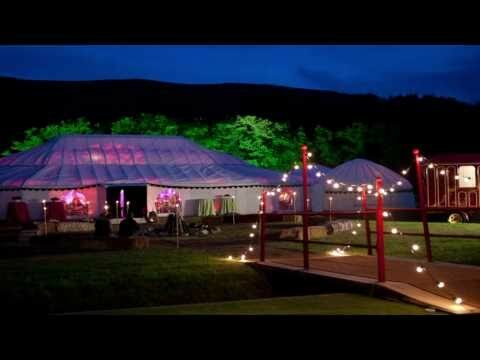 We are affiliated with a number of prestigious venues, caterers and event companies in both the UK and Ireland. Please ask for a full list of our recommended suppliers for other aspects of your event. Our own beautiful venue available for exclusive hire just 50 mins from Dublin. Voted by Tatler as the top most idyllic wedding venue in Ireland. Porthilly Farm A stunning location with uninterrupted views. Contact our Cornish branch. Birling Manor A stunningly romantic wedding location in East Sussex at the foot of the South Downs. Chelsea Physic Garden A beautiful and magical setting for your special day hidden in the heart of London. Glebe House A Georgian Grade 11 listed building with 100 acres of beautiful Sussex countryside. Bignor Park Situated in beautiful and unspoilt surroundings at the foot of the magnificent South Downs. Stonor Park An impressive and sublimely photogenic wedding venue with endless views of the Chilterns. Arcadian Waters A ‘secret garden’ wedding venue in Oxfordshire, which is being launched in 2017. Coombe Trenchard A stunning Arts & Crafts Edwardian House and Gardens in the heart of rural West Devon. Monorbier Castle A romantic Norman Castle in a fairy tale setting by the sea within 100 yards from the beach. Devonport House A glamorous setting and perfect wedding venue in Greenwich, London. Cornwell Manor In the heart of the Cotswolds, a truly romantic setting with a church on the Estate. Duncton Mill Fishery A family run business regarded as one of the finest waterside venues in West Sussex. Hadsham Farm A delightful setting with the freedom to create a totally bespoke wedding in North Oxfordshire. Swallowtail Hill Family run farm set in 40 acres in the Weald Area of Outstanding Natural Beauty. Elmore Court A unique wedding & events venue in Gloucestershire with views over the Cotswolds. Port Elliot One of the most enchanting venues in Cornwall available on a very exclusive hire basis. Roscarrock A perfect venue for a wedding in Port Isaac, Cornwall. Contact our Cornish branch. Bodiam Castle One of Britain’s most romantic and picturesque castles, set in the heart of 1066 country. Aynhoe Park Spectacular 12 bedroom private house just one hour from London. Wickham House A truly stunning venue with superb facilities designed to create exceptional bespoke events. Chafford Park Set amidst hundreds of acres of beautiful rolling countryside on the Kent & Sussex border. Cornbury Park Nestling in the Oxfordshire countryside, a spectacular estate with a civil ceremony license. Newdigate Estates Three farms situated between the major towns of Dorking, Crawley and Horsham. Ashton Court Mansion The perfect combination of city and country with landscaped gardens & deer parks. Hawthbush Farm Organic family holidays set in beautiful countryside near to Lewes, East Sussex. Falconhurst Estate A 700 acre estate in the small village of Markbeech on the Kent/Sussex border. Rock Weddings One of the most picturesque locations in North Cornwall. Eridge Park Eridge Park is a country estate but only an hour’s drive from London. Secret Productions Radical, striking, interactive high-end events. The Admiral Crichton Producing polished, contemporary and classically beautiful parties around the world. Pocketful of Dreams Planning & event styling specialising in creating breaktaking, extraordinary celebrations. Snapdragon London based experts for planning luxury weddings and events. Lillingston Spectacular events for high profile corporate and private clients. The Inner Circa Event Management, parties, travel and weddings for private clients. Quintessentially Events A multi-award winning event management company delivery events around the world. Fiona Leahy Design A creative event design and production agency. Sherlock Parties Specialists in all aspects of event management, catering and party design. Hattie and Flora Bespoke hand made event design. Light It Up UK Light up letters to hire for weddings and events in Kent, London and the surrounding areas. Sound Artist Management Event services alongside sound and lighting design. Jiigantics Giant illuminated flowers figures and artworks. Planned for Perfection A prestigious wedding and event management company. Blistering The very finest cooking whether on the barbecues or in our famous woodfired ovens. Pop Creative Food An event and wedding catering company with a modern edge. Fee Turner Catering Cornish based caterers delivering honest and gorgeous looking food. Cuisine Studio Wedding & corporate caterers based in Kent. Purple Pumpkin The home of professional party catering for the discerning palate. Philippa Craddock Acclaimed wedding and event florist based in Sussex. Rebecca Douglas Photography Kent based photographer. James Darling Photography Cornish based offering unique, natural, documentary style photography. Christian Michael Photography Multi award winning photographer in Cornwall, Devon and Somerset. Raccoon London based agency representing talented event & wedding photographers with a range of styles. John Knight Kent based photographer. Nick Reader An accomplished wedding photographer based in Cornwall. Bloomsbury Films London based premium filming and photography company. Ballintubbert House & Garden Our own venue nestled in a beautiful valley 50 minutes from Dublin. Rock Farms Slane Luxury Eco Camping at The Rock Farm, Slane. The Millhouse A beautiful Georgian manor on the banks of the River Boyne. Lisnavagh Nineteenth century country estate just outside the village of Rathvilly in Co.Carlow. Glin Castle On the banks of the river Shannon. Killruddery House & Gardens Located on the outskirts of the capital where Dublin meets Wicklow. Ballyvolane House Historic Irish country house located in the North Cork countryside. Rossnaree A privately owned historic country estate in Slane, County Meath. Lismorecastle Dating from 1170, a privately owned castle offering luxury accommodation with exclusive hire. Lough Cutra Castle A fairy-tale, lakeside setting just a short distance from Galway City. Roundwood House An historic home of architectural interest just an hour from Dublin. Liss Ard Estate Located in one of the most beautiful regions of Ireland near Skibbereen in West Cork. Wildside Catering Offering exceptional food & service using the best produce from East and West Cork. Cookes Kitchen Jonnie Cooke & his team deliver incredible food with a twist of flair & finesse. Lu Thornely Catering in Ireland for over ten years, cooking for large wedding celebrations and smaller parties. The Yellow Door Delis, restaurants, outside catering, an artisan bakery and their own kitchen garden. The Kildare Kitchen Delicious, elegant food with a home-cooked feel. The Wedding Guy With 20+ years industry experience, Stephen is poised to help create your dream day. John Lalor Based in Dublin working nationally & internationally to create the perfect images for your day. Castello di Castagneto A stunning castle location in Tuscany. Castelnau des Fieumarcon A beautiful 13th century settlement in South West France available for hire. Paul Rousteau Photographer based in Paris.